"What's up?" 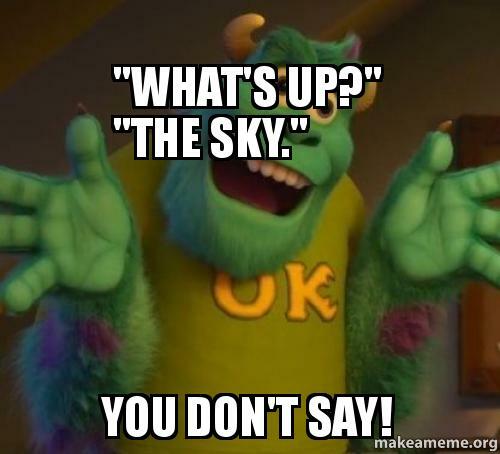 "the sky." - you don't say!